I am a beginner runner wanting to run to lose weight. I am following an 8 week couch to 5k app that has been wonderful giving me walk/jog intervals to follow. I have completed week one and day one of week 2 (the latter including run 1.5min/walk 2 four times then run 1/walk 1 twice) - previous exercise is non-existent- and I am frustrated because I know being such a new runner I need to take every other day off. So now, I have a workout to look forward to every other day for 8 weeks but I already want to run more often. 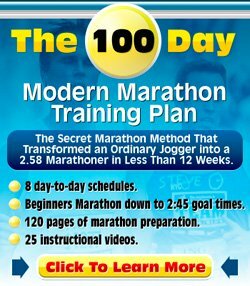 When is a beginner runner usually safe at running 4 or 5 days a week? Or even able to do a morning run and a nightly run? Or if running for weight loss, is one better than the other? I don't want to wear out my muscles, or even worse injure myself. And I definitely don't want to cross the line of doing too much before it's safe, but I have no idea what signs to look for (if I can run 30 minutes straight, complete my 5k training program, etc). I have tried to find something on the topic but I must be looking in all the wrong places. Please help. Thanks for your question about wanting to run to lose weight. The reason many beginner running programs have you running three times per week is that three times per week is seen to be the minimum you need to do to get some improvement. You can get to 5k in 8-12 weeks doing run/walk intervals three times a week. You can even get to 10k running only three times per week. And there are plenty of people who finish a half marathon or even a marathon on only three days of exercise per week. Finishing is possible. Of course, getting a good time on exercising only three days per week is pretty unlikely. There is no hard and fast rule around the number of times you exercise per week. 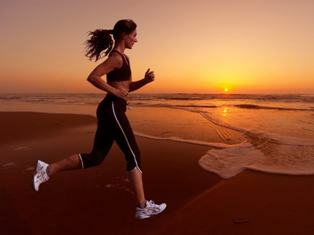 Because you are new to running it is considered to be safe to run three times per week. This allows time for your muscles to recover. Even though you are not running for a very long time at the moment, this is new for you and it is good to "ease into" a new activity like running. You are enthusiastic now, because you have only just started. Will you keep up that motivation or will you lose it all when you are doing much more exercise? You do run a risk of doing too much too soon. This can lead to running injuries. I am not saying that you can't increase your running to four or five days a week. But a good alternative is to try and do some cross-training on non-running days. E.g. swimming, exercise bike, that kind of thing. Want to do it from the comfort from your own home? You can get good exercise from a simple range of exercises like push-ups, squats, star jumps, burpees, plank, sit-ups etc. Just google "bodyweight exercises" and you should be able to find plenty of ideas. With dumbbells the possibilities become endless. You can quite easily get a good full-body workout with a range of ten exercises or so. Set them up as a circuit (one minute each with 15 secs change-over time in between) and try to work up to doing the circuit three times in a row (of course, build up to this). Bound to give you a really good work out. And it will send your heart racing. This would see you exercising on non-running days. Additionally the circuit type of approach would still involve some pretty serious cardio and your legs get a rest from pounding the pavement. As a last remark, when running for weight loss you will want to combine your running with dietary changes. As you can see from the calories burned while running calculator, running helps you burn calories, but when you are not covering large distances yet, you are not burning that many yet. Don't let that discourage you, this weight loss journey takes some time and you are doing the right things. Just keep on doing with what you are doing. Exercise five times a week, eat healthily, keep track of portion size (myfitnesspal.com is a good website to use) and those pounds will have to start falling off soon!